Formerly, The Honeymoon Cabin, Little Cabin is now the only one of it’s type in the Maggie Valley area. The uniqueness of this derives from a blend of the old and the new. The original 175 year old Appalachian log home has been remodeled and a new room added on. The original cabin is now a living/room dining area. Sky lights, new furniture. and improved lighting enhances the ambiance of the antique portion. There is now a spacious separate bedroom with a queen size bed and a 2-person Jacuzzi-type hot tub. 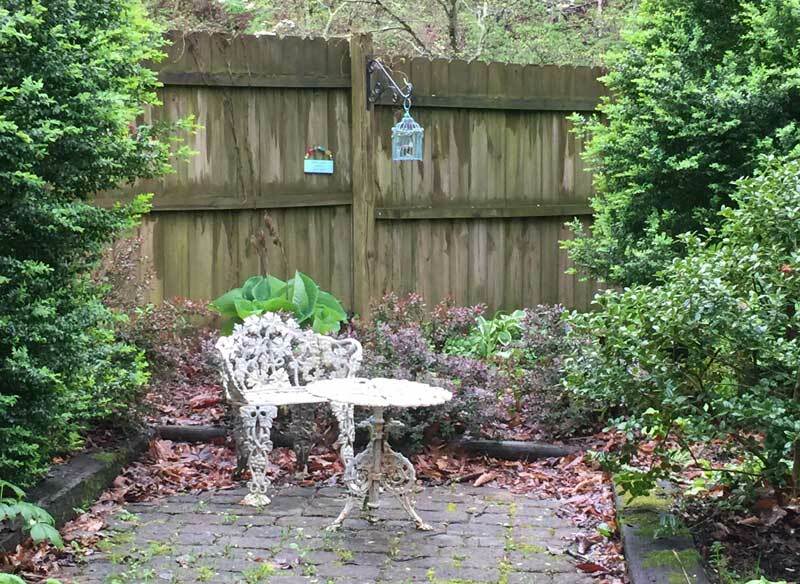 The front porch was covered and has rocking chairs and is now adjacent to an enclosed private garden that is just right to enjoy morning coffee or to listen to the babbling brook in the evening. And there is also a wrap-around deck that overlooks the stream. It is a perfect setting for a romantic evening or to sit back and relax by the gas log fireplace. The renovations have doubled the size of the cabin and has made it our most popular cabin.